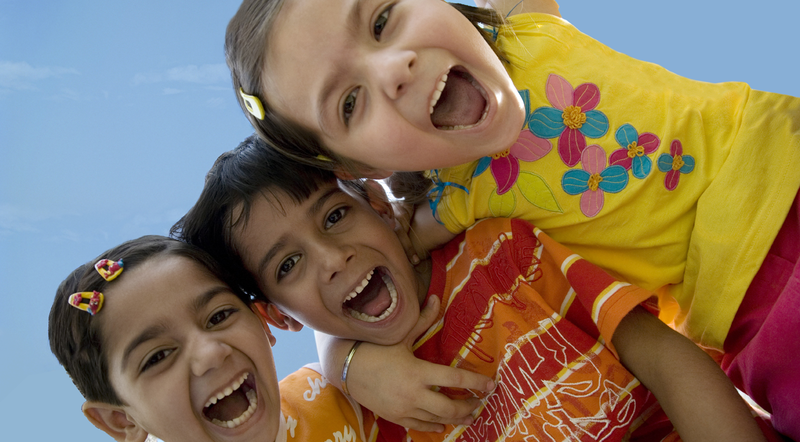 Finding the right paediatric dentist* for your Brisbane kids is vital! Don’t set your kids up for dental fear – choose the gentle dentist in Brisbane! Healthy teeth are essential for your child’s overall wellbeing and growth. We’ll help your child develop healthy tooth care habits that will stay with them for a lifetime. Healthy teeth don’t just look great, they help your little one to speak clearly, chew correctly and have positive social experiences. We want what’s best for your kids, just like you do. We’re Brisbane’s gentle paediatric dentists and we’re all about helping your child grow into a healthy adult! *We are not paediatrician’s but we do offer the best care for your children. Your Child’s first visit to the dentist! The team at Robert Duhig Dental in Sandgate is specially trained to make children feel comfortable and relaxed during their visit. The ideal time for a child’s first visit is before their first birthday. We’ll not only help them feel at home at the dentist but we can also detect any issues early. We recommend another visit to the dentist around 3 to 3.5 years old. Like adults, kids should have a dental check up twice a year. We can also help avoid costly dental procedures in their teens by keeping an eye on potential problems with their adult teeth long before the tooth fairy starts visiting! show them there’s nothing to be scared about! How much does a Paediatric Dentist in Brisbane cost? For many procedures, kids dentistry is now low or no cost. To find out if you’re eligible, click here or call us on 07 3269 2443 now. Check ups are often also covered on private health insurance. If your concerned about costs of cosmetic dentistry or your child needs special dental procedures that are not covered, you may be eligible for our payment plan. While there is no such thing as a bulk billing dentist for adults, eligible families can get kids’ dental work bulk billed under the government rebate scheme. If you’re not sure if you’re eligible, learn more here. What will happen at your child’s first visit to the dentist? We’ll spend time with you and your child discussing toothbrush skills and food choices that prevent tooth decay. We’ll review your child’s medical and dental history and if possible, we’ll count and examine their teeth. Our biggest aim is to make your child’s first visit fun, friendly and positive. We provide toys, DVDs, CDs and colouring books to help entertain and relax them. We’ll show them that going to the dentist is no big deal – and in fact, it’s kind of fun! If you’re really lucky, you may even spot our “on staff” tooth fairy! Discuss the visit with your child beforehand. Tell them about the special chair. Avoid telling them it ‘won’t hurt’, as the child may not have developed a preconception about this. Try not to share any personal anxiety you might have about going to the dentist. Avoid words like hurt and pain and needle, they don’t help! Select an appointment time that’s best for your child’s routine – mornings are often better. Read some ‘toothy’ books to your child and discuss what they think will happen. Preparing them for a pleasant experience is a bit step in making it so! The Robert Duhig Dental team believes it’s never too early to start healthy, life-long oral hygiene habits. Ongoing appointments for children will involve preventative evaluations, dietary advice and education about gum and tooth care. We will also show you how to help your child with brushing and flossing. Your child can learn healthy oral health habits from you! Thumbsucking can affect the alignment of your child’s teeth. It should be discouraged and should cease altogether by school age. Easier said than done? Talk to us about options if your child is a thumbsucker. If your child loses a permanent tooth by trauma, don’t rinse it under water as this can damage the root surface of the tooth. Place it in a cup of milk and come immediately to Robert Duhig Dental. Time is important, so bring the child and the tooth as quickly as possible. We reserve emergency dental appointments daily. Queensland’s drinking water is now supplemented with Fluoride. Additional Fluoride supplements are no longer needed. Fissure seals are a plastic coating that gets bonded into the grooves on the top of teeth (called ‘fissures’) to help protect teeth from the decay that can typically start in these grooves. The seals act as a barrier to prevent food becoming stuck, and plaque and bacteria building up in the grooves. Fissure seals are usually placed onto six and 12 year-old molars. Although the seals don’t have a retention rate quite as good as fillings. Here is a selection of fun and easy books about teeth to read to your child. Helping your child feel confident and even excited about their first pediatric dental experience will build a solid foundation for life long dental health. Ready for your little one to see their first pediatric dentist in Brisbane? We promise to be gentle! The federal government bulk billing dental scheme for kids means kids can have regular check ups from toddlerhood to adulthood. Give your kids the best start in life with free, or low cost dental work from Robert Duhig Dentists in Brisbane.